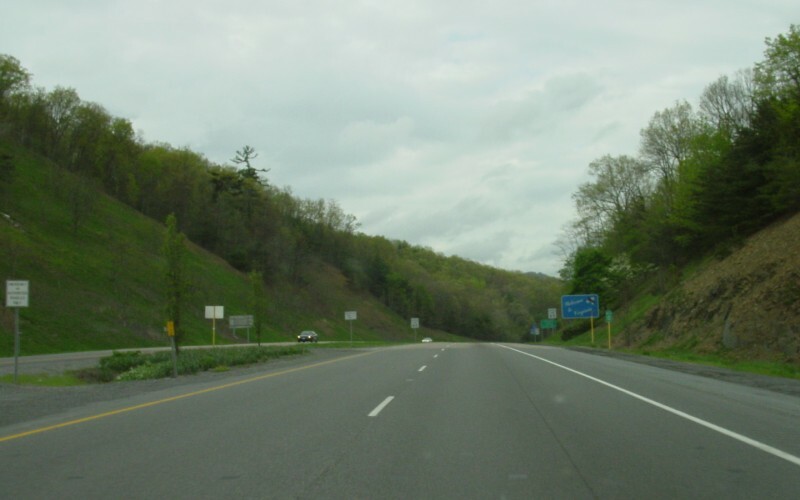 Eastbound heading into Virginia from West Virginia. This part of I-64 is well within the Appalachian Mountains. Photo by Adam Froehlig, taken May 6, 2003. 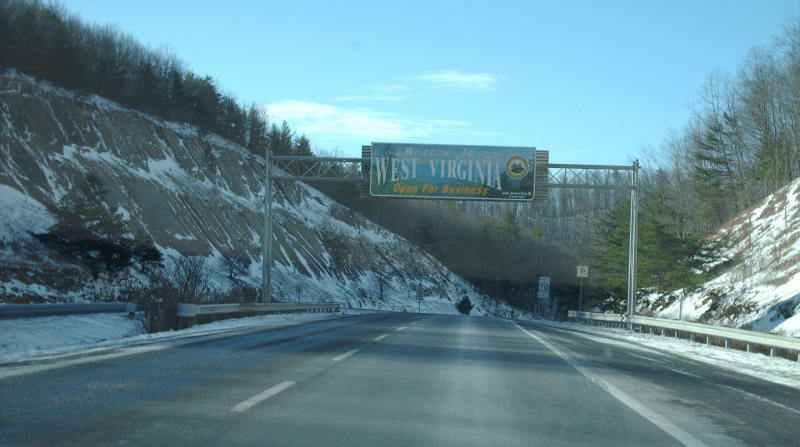 Westbound heading into West Virginia Photo by Mapmikey, taken January 26, 2007. I-64 approaching its endpoint in Bowers Hill Photo by Mapmikey, taken July 17, 2007. 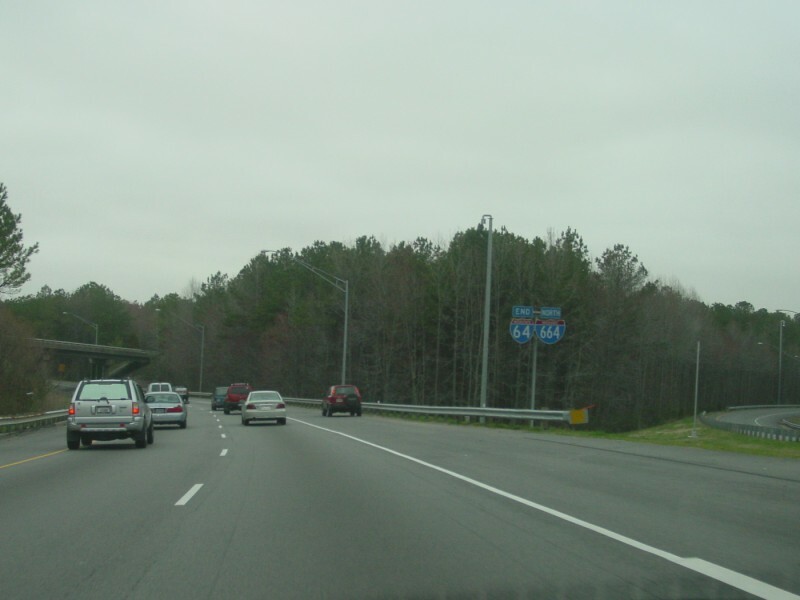 I-64, I-264, and I-664 all end at the same 3-way interchange in Chesapeake, at a location locally known as "Bower's Hill". 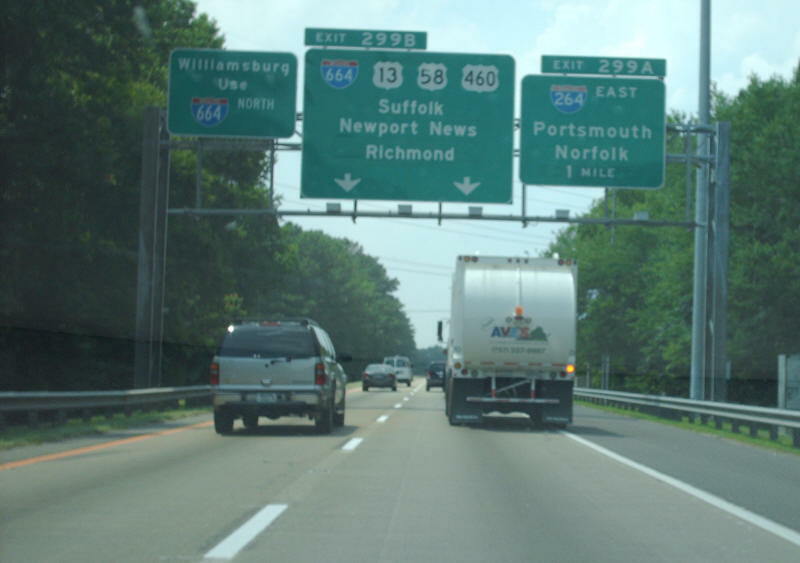 Here, we're taking the leg from I-64 "East" (which actually is heading westward on its last miles) to I-664 North. Photo by Adam Froehlig, taken March 19, 2003.